Not to be confused with Stamford, Connecticut. Stratford is a town in Fairfield County, Connecticut, United States, located on Long Island Sound at the mouth of the Housatonic River. Stratford is in the Bridgeport-Stamford-Norwalk Metro area which is a part of the Greater New York metropolitan area. It was founded by Puritans in 1639. Stratford (formerly known as Cupheag Plantation, and prior to that, Pequonnocke) was founded in 1639 by Puritan leader Reverend Adam Blakeman (pronounced Blackman), William Beardsley, and either 16 families—according to legend—or approximately 35 families—suggested by later research—who had recently arrived in Connecticut from England seeking religious freedom. Stratford is one of many towns in the northeastern American colonies founded as part of the Great Migration in the 1630s when Puritan families fled an increasingly polarized England in the decade before the civil war between Charles I and Parliament (led by Oliver Cromwell). Some of the Stratford settlers were from families who had first moved from England to the Netherlands to seek religious freedom, like their predecessors on the Mayflower, and decided to come to the New World when their children began to adopt the Dutch culture and language. Many descendants of the original founding Puritan families remain in Stratford today after over 350 years; for centuries they often intermarried within the original small group of 17th century Pilgrim families. Stratford's original name was Cupheag, but was later changed to honor Stratford-upon-Avon in England. Despite its Puritan origins, Stratford was the site of the first Anglican church in Connecticut, founded in 1707 and ministered by the Rev. Dr. Samuel Johnson. Settlers from Stratford went on to found other American cities and towns, including Newark, New Jersey, established in 1666 by members of the Stratford founding families who believed the town's religious purity had been compromised by the changes after Blakeman's death. Other towns such as Cambria, New York (now Lockport, New York) were founded or expanded around new churches by Stratford descendants taking part in the westward migration. U.S. President Gerald Ford was a descendant of one of the Stratford founding families, that was led by William Judson. Long Beach – Approximately 1.5 miles (2.4 km) long, the eastern end of the beach is open to the public and has parking and lifeguards. The central part of the beach is a nature preserve whose land is set aside for wildlife, particularly nesting seabirds, such as kestrels and ospreys. The western end of the beach is the site of about 40 cottages, now abandoned because of the town's discontinuation of the lease to the land. The cottages were demolished in fall 2010. Short Beach – Short Beach Park is 30 acres (120,000 m2) in size and sits at the mouth of the Housatonic River. It has three picnic pavilions, basketball courts, tennis courts, volleyball courts, a handicapped-accessible playground, a skateboard park, a lighted softball field, a soccer field, two baseball fields and a lacrosse field. The beach has 1,000 feet (300 m) of frontage with a concession stand, bathrooms, a deck and lifeguards. The park is also home to Short Beach Golf Course, a nine hole par-3 course. Located in the north end of Stratford, this 250-acre (1.01 km2) site is primarily a mixed deciduous forest, with some wetlands and ponds. Named for President Franklin D. Roosevelt, it was set aside in the 1930s, when much of the infrastructure was created as a Works Progress Administration project. The forest includes campsites with cooking pits, picnic tables, a playground, restrooms, and walking trails. In the town the population was spread out with 23.0% under the age of 18, 5.8% from 18 to 24, 28.5% from 25 to 44, 23.5% from 45 to 64, and 19.2% who were 65 years of age or older. The median age was 42.2 years. For every 100 females there were 89.0 males. For every 100 females age 18 and over, there were 85.6 males. The median income for a household in the town was $53,494, and the median income for a family was $64,364. Males had a median income of $45,552 versus $34,575 for females. The per capita income for the town was $26,501. About 3.5% of families and 5.0% of the population were below the poverty line, including 5.6% of those under age 18 and 5.8% of those age 65 or over. In 1939, one of the world's first successful commercial helicopters was developed in Stratford by Igor Sikorsky and flown at his plant. His company, Sikorsky Aircraft Corporation, is still the town's largest employer. Also in 1939, Lycoming produced Wright radial engines here. After World War II, the plant was converted to produce turbines. The Vought-Sikorsky Aircraft Division in Stratford built a total of 7,829 F4U fighters from 1940 to 1952, including the prototype. These planes saw extensive combat in the Pacific Theatre of operations during World War II, and played a supporting role in the Korean War. A Corsair sits on a pedestal at the airport as a memorial to the war effort. The Stratford Eagles Composite Squadron, Civil Air Patrol, is based in Stratford, at the Sikorsky Memorial Airport. Sikorsky Aircraft Black Hawk helicopters in Iraq in 2005. Stratford is home to the headquarters of Sikorsky Aircraft, a United Technologies Corporation subsidiary founded by Igor Sikorsky, developer of the first successful American helicopter. Every Marine One (the helicopter of the President of the United States) has been manufactured in Stratford since 1957. The Stratford Army Engine Plant (SAEP) was a U.S. Army Tank-Automotive and Armaments Command installation and manufacturing facility, located along the Housatonic River and Main Street opposite Sikorsky Airport. Because of the Base Realignment and Closure actions of the United States Department of Defense, closure of the plant was recommended in July 1995. The SAEP closed on September 30, 1998. For the next 11 years the Army was involved with "Team Stratford" to develop the property. The United States Army, which owns the 78-acre (316,000 m2) site, auctioned it off on March 19, 2008, with a winning bid of $9,612,000 which also includes the 1,720,000-square-foot (160,000 m2) facility of over fifty buildings. This bid failed to be paid off and is now being placed for rebid. Currently Robert Hartmann of Hartmann Development has a $1 billion plan to develop the former Army engine plant into a destination resort. The Town of Stratford operated under a Council-manager government from 1921 until 2005 when it changed to a mayor-council type of government. The first mayor, James Miron, was elected in November 2005 to a four-year term. The second and current mayor is John Harkins. The town has a ten-member Town Council, elected by district to two-year terms. It appoints one of its members to serve as Chairman. The Mayor and the Town Council are responsible for setting policy through the enactment of ordinances and resolutions. Stratford Emergency Medical Service (EMS) is an advanced life support (paramedic) level, municipal EMS provider. Founded in 1977, it provides emergency medical response and care using both paid staff and volunteers. It also has an operational Medical Bike Unit and Special Operations Division. Since it began charging for services, the department is entirely self-sufficient. EMT-B, MRT & EVO classes and re-certification classes are regularly offered. Established in 1909, the Stratford Fire Department currently operates out of four Fire Stations, located throughout the town. The Stratford Fire Department also operates a fire apparatus fleet of 4 Engines, 1 Ladder, 1 Tac. Unit(Rescue), 2 Fireboats, 1 Haz-Mat. Unit, 1 Squad(Brush Unit), 1 Utility Unit, 2 Reserve Engines, and several special and support units. The SFD currently responds to approximately 6,000 emergency calls annually. Created in 1917, the Stratford Police Department has a force of 107 officers. The department's units include arson investigation, crime prevention, identification & forensic unit and narcotics & vice. Stratford also has a bicycle patrol, a K-9 unit, and an animal control unit. Public education in Stratford is managed by the Stratford Board of Education, which oversees thirteen schools: two high schools, two middle schools, and nine elementary schools. The district averages 7,600 students and 870 staff. The Connecticut School of Broadcasting maintains a location in Stratford and certifies students in television anchoring, commercial radio performance and journalism. Porter and Chester Institute's main campus provides training programs in automotive technology, CAD, electronics, HVAC, medical assistance, and other trades. The Stratford School for Aviation Maintenance Technicians is located at Sikorsky Memorial Airport. Stratford is home to the Connecticut Brakettes women's fastpitch softball team. Formed in 1947 as the Raybestos Girl All-Stars, and later called the Raybestos Brakettes, they became known as the Stratford Brakettes in 1985 after Raybestos ceased its sponsorship. The team has posted 3,242 victories in 3,607 games played, as well as three world championships and 28 national A.S.A. championships, including a record eight consecutive titles from 1971 to 1978. They also captured three consecutive titles in 2002, 2003, and 2004. Their most recent title came in 2006. Nineteen former members have made the National Softball Hall of Fame, and 11 have been Olympians. I The Brakettes play at Frank DeLuca Hall of Fame Field. Stratford is served by Bridgeport's daily Connecticut Post and by the weekly Stratford Star. Andrew Adams (1736–97), jurist, Connecticut delegate to the Continental Congress, state chief justice and signer of the Articles of Confederation, born in Stratford. Raymond E. Baldwin (1893–1986), Stratford Town Court Prosecutor and Judge, United States Senator, and 72nd and 74th Governor of Connecticut. Nathan Bangs (1778–1862), Methodist minister and second President of Wesleyan University. William Beardsley (1605–1661), town founder buried in Stratford. Adam Blakeman (1596–1665), Puritan leader who was a town founder and the first church minister. Efrain Chacurian, member of the National Soccer Hall of Fame in Oneonta, New York. Javier Colon, singer/songwriter, winner of season one of The Voice grew up in Stratford and graduated from Bunnell High School. Joseph Platt Cooke (1730–1816), Continental Army colonel in the Revolutionary War, state politician, and twice a delegate to the Continental Congress, born in Stratford. Bancroft Gherardi (1832–1903), US Navy Rear Admiral and veteran of the Mexican-American War and American Civil War. Joseph Hawley (1603–1690), town recorder, representative, shipbuilder and yeoman. William Samuel Johnson (1727–1819), signer of the United States Constitution, first Senator for Connecticut, first President of Columbia University, born and died in Stratford. Stephen King, author, briefly lived in Stratford as a child. George Ayres Leavitt (1822–1888), early New York City publisher, lived in Stratford part-time. Nancy Marchand (1928–2000), actress (Lou Grant, The Sopranos), resided in the Lordship section of Stratford. Moby, songwiter/musician/singer, lived in Stratford (1974–1976), attending Birdseye Elementary School. Kenneth H. Olsen, engineer and co-founder of Digital Equipment Corporation. Tom Penders, college basketball coach and ESPN sports analyst, native of Stratford. David Plant (1783–1851), member of the United States House of Representatives for the 20th Congress, Lieutenant Governor of Connecticut 1823–1827. Loring Smith (1890–1981), Broadway and motion picture actor born in Stratford. John William Sterling (1844–1918), philanthropist, corporate attorney, and major benefactor of Yale University. Gideon Tomlinson (1780–1854), noted lawyer, member of the United States House of Representatives (16th through 19th Congresses), Senator for Connecticut (22nd through 24th Congresses), and 25th Governor of Connecticut, born & interned in Stratford. David Wooster, Major General in the American Revolutionary War, born in Stratford. John Zaffis, paranormal investigator on the Syfy original series Haunted Collector. ^ "Race, Hispanic or Latino, Age, and Housing Occupancy: 2010 Census Redistricting Data (Public Law 94-171) Summary File (QT-PL), Stratford town, Connecticut". U.S. Census Bureau, American FactFinder 2. http://factfinder2.census.gov. Retrieved August 11, 2011. ^ Stratford and the Sea - Google Books. Books.google.com. http://books.google.com/books?id=R4YT2IXBtokC&pg=PA10. Retrieved 2011-01-02. ^ "Corsair". Uswarplanes.net. 1940-05-29. http://www.uswarplanes.net/corsair.html. Retrieved 2013-05-19. ^ "Event Viewer". Townofstratford.com. http://www.townofstratford.com/controls//eventview.aspx?MODE=SINGLE&ID=64. Retrieved 2011-01-02. ^ "Former Army plant proposed as destination resort - Connecticut Post". Ctpost.com. 2010-10-23. http://www.ctpost.com/default/article/Former-Army-plant-proposed-as-destination-resort-720226.php. Retrieved 2011-01-02. ^ Special to the New York Times (1983-01-22). "nytimes.com: Dead Identified In Turnpike Crash". Connecticut: New York Times. http://query.nytimes.com/gst/fullpage.html?res=9E02E0DE1E38F931A15752C0A965948260. Retrieved 2011-01-02. ^ "Stratford, Connecticut - Mayor Harkins Biography". Townofstratford.com. http://www.townofstratford.com/content/1302/1944/21242.aspx. Retrieved 2011-01-02. ^ "Stratford, Connecticut - FAQ". Townofstratford.com. 2010-12-22. http://www.townofstratford.com/content/1302/402/607/1659.aspx. Retrieved 2011-01-02. ^ "IAFF Local 998". IAFF Local 998. http://iafflocal998.org/index.cfm. Retrieved 2013-05-19. ^ "Stratford, Connecticut - Police Department". Townofstratford.com. 2010-12-22. http://www.townofstratford.com/content/1302/402/621/default.aspx. Retrieved 2011-01-02. ^ Michael Romsky. "Stratford Animal Control | Home". Stratfordac.org. http://www.stratfordac.org/. Retrieved 2011-01-02. ^ "Stratford School District School District - Stratford, Connecticut - Education Bug". Connecticut.educationbug.org. 2007-06-01. http://connecticut.educationbug.org/school-districts/2608-stratford-school-district.html. Retrieved 2011-01-02. ^ "Program Overview for Stratford CT Public School’s ALPHA Program". Stratfordk12.org. 2007-03-26. http://www.stratfordk12.org/Content/Program_Overview.asp. Retrieved 2011-01-02. ^ "Connecticut School of Broadcasting - Career in Radio & TV". Gocsb.com. http://www.gocsb.com/index.html. Retrieved 2011-01-02. ^ "Technical Schools in CT and MA | Porter and Chester Institute". Porterchester.com. http://www.porterchester.com/. Retrieved 2011-01-02. ^ "School For Aviation Maintenance Technicians". Cttech.org. http://www.cttech.org/SSAMT/index.htm. Retrieved 2011-01-02. ^ "Brakettes Archives". http://www.stratfordbrakettes.com/. Retrieved 2009-10-21. ^ Hays, Graham (July 21, 2008). "The saga of the Stratford Brakettes". ESPN. http://sports.espn.go.com/espn/page2/story?page=hays/080718. Retrieved 2009-10-20. ^ "Brakettes (history)". http://brakettes.com/history/. Retrieved 2009-10-21. ^ "Brakettes All-Time Roster". http://www.stratfordbrakettes.com/alltime_roster.htm. Retrieved 2009-10-20. ^ Most Popular Titles With Location Matching "Stratford, Connecticut, USA"
^ "The History of Lordship!". Lordshiphistory.com. http://lordshiphistory.com/MOVIESwebpage.html. Retrieved 2011-01-02. ^ "StratfordStar.com • News". Acorn-online.com. http://www.acorn-online.com/joomla15/stratfordstar/news.html. Retrieved 2011-01-02. 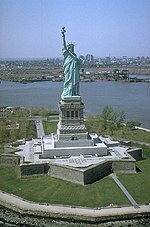 ^ "Online Directory: Connecticut, USA" at Sister Cities International. Retrieved March 27, 2007. ^ "Raymond Earl Baldwin". Cslib.org. http://www.cslib.org/gov/baldwinr.htm. Retrieved 2011-01-02. ^ "William Beardsley (1603 - 1661) - Find A Grave Memorial". Findagrave.com. http://www.findagrave.com/cgi-bin/fg.cgi?page=gr&GRid=7649681. Retrieved 2011-01-02. ^ Genealogical notes, or contributions ... - Google Books. Books.google.com. http://books.google.com/books?id=BTI6rl97_pcC&pg=PA1&lpg=PA1&dq=%22Adam+Blakeman%22+%2BMinister&source=bl&ots=xhMISl0EAR&sig=GFtbMtS7Aqv3KgoRb4y_La5Ih3g&hl=en&ei=7npQTJqHDsL38Abs6PTmDQ&sa=X&oi=book_result&ct=result&resnum=2&ved=0CBsQ6AEwAQ#v=onepage&q=%22Adam%20Blakeman%22%20%2BMinister&f=false. Retrieved 2011-01-02. ^ "COOKE, Joseph Platt - Biographical Information". Bioguide.congress.gov. http://bioguide.congress.gov/scripts/biodisplay.pl?index=C000733. Retrieved 2011-01-02. ^ Bagley, Jason (2012-11-28). "'Dancing with the Stars' Winner Hails from Stratford - Entertainment - Stratford, CT Patch". Stratford.patch.com. http://stratford.patch.com/groups/arts-and-entertainment/p/dancing-with-the-stars-winner-hails-from-stratford. Retrieved 2013-05-19. ^ "US People-Gherardi, Bancroft, Rear Admiral, USN (1832-1903)". History.navy.mil. 2004-04-18. http://www.history.navy.mil/photos/pers-us/uspers-g/b-gherdi.htm. Retrieved 2011-01-02. ^ "JOHNSON, William Samuel - Biographical Information". Bioguide.congress.gov. http://bioguide.congress.gov/scripts/biodisplay.pl?index=J000182. Retrieved 2011-01-02. ^ "About the Author". StephenKing.com. http://www.stephenking.com/the_author.html. Retrieved 2011-01-02. ^ "biography". moby.com. http://www.moby.com/biography. Retrieved 2011-01-02. ^ "Invent Now | Hall of Fame | Search | Inventor Profile". Invent.org. 1926-02-20. http://www.invent.org/Hall_Of_Fame/114.html. Retrieved 2011-01-02. ^ "Stratford, Connecticut - Proc-090610-Tom Penders (Sterling House)". Townofstratford.com. 2010-12-22. http://www.townofstratford.com/content/1296/396/7913/15558/18550.aspx. Retrieved 2011-01-02. ^ "PLANT, David - Biographical Information". Bioguide.congress.gov. http://bioguide.congress.gov/scripts/biodisplay.pl?index=P000375. Retrieved 2011-01-02. ^ Prominent and progressive Americans ... - Google Books. Books.google.com. 2008-11-07. http://books.google.com/books?id=ZREwAAAAYAAJ&pg=RA15-PA212&lpg=RA15-PA212&dq=%22John+William+Sterling%22+biography+Yale+stratford&source=bl&ots=0a0tBGAoIv&sig=veqcqq9ynqUSc6oswYwEL5y3NwM&hl=en&ei=PnN5S_LuKsnk8QbompT0CQ&sa=X&oi=book_result&ct=result&resnum=8&ved=0CBkQ6AEwBw#v=onepage&q=&f=false. Retrieved 2011-01-02. ^ "TOMLINSON, Gideon - Biographical Information". Bioguide.congress.gov. http://bioguide.congress.gov/scripts/biodisplay.pl?index=T000300. Retrieved 2011-01-02. ^ Posted on September 10, 2009 3:06 PM (2009-09-10). "Historic Sites from the Connecticut Society of the Sons of the American Revolution". Connecticutsar.org. http://www.connecticutsar.org/sites/2009/09/statue-of-david-wooster.html. Retrieved 2011-01-02. This page uses content from the English language Wikipedia. The original content was at Stratford, Connecticut. The list of authors can be seen in the page history. As with this Familypedia wiki, the content of Wikipedia is available under the Creative Commons License.